Pumpkin farmers hit a rough patch this growing season due to excessive rainfall in June, according to the Chicago Tribune. 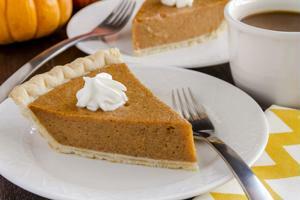 As a result, pumpkin shortages could affect your Thanksgiving dessert selection. Illinois, the state responsible for 90 percent of the pumpkins grown in the U.S., expects that its pumpkin supplies will last through Halloween, but shortages could begin before the Thanksgiving season. The Tribune reported that Libby, the leading canned-pumpkin manufacturer in Illinois, could be facing a 3 percent decrease in its yield this season. The general U.S. pumpkin market is known to be highly limited and very season-specific, according to the Agricultural Marketing Resource Center. Pumpkins are generally farmed for processing - such as in Libby's products - and can only be grown in specific parts of the U.S., including California, Ohio, Pennsylvania and New York, reported AMRC. However, considering Illinois accounts for 90 percent of pumpkin growth, many pumpkin patches across the U.S. will have to look to strategic sourcing to obtain their seasonal staple. Some local chain retailers are hurrying to assure their customers that the Illinois supply shortage will not affect yearly pumpkin patches. In an interview with a local Florida news station, Bay News 9, a local pumpkin patch organizer assured her customers that her pumpkin supply comes from New Mexico and as such would be unharmed. However, retailers who do rely on a supply from Illinois should be prepared for spikes in prices, as demand will probably surpass capacity. As for that Thanksgiving pumpkin pie, shoppers should secure their Libby's canned pumpkin well before the holiday. "I would not wait until Nov. 20, I'd buy it whenever it comes to the store," University of Illinois professor Mohammad Babadoost urged to the Tribune.